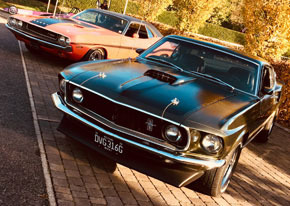 Have wanted one of these for a long time, the thought being it could be done up as a period tow vehicle for my Mustang. The plan was to sell the truck first and, err, finish the Mustang, but this one came up and I couldn't resist. 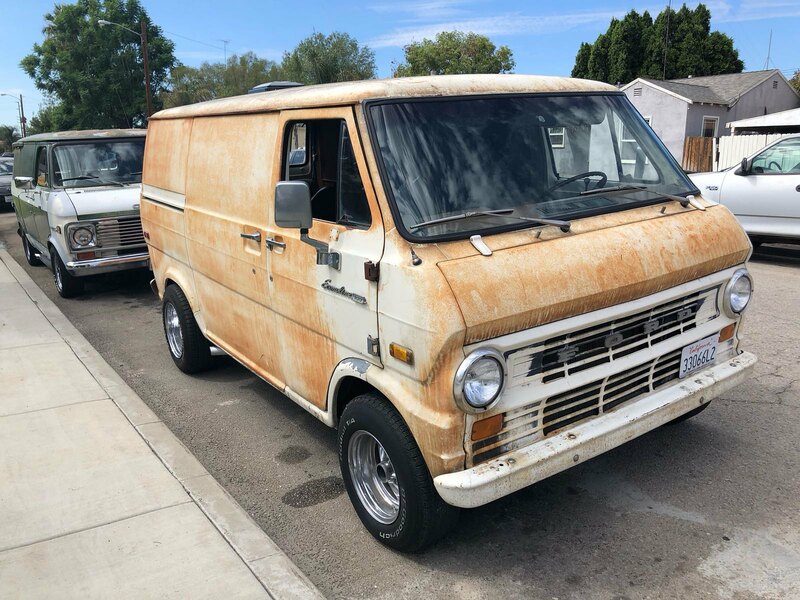 1974 Ford Econoline E100, two owners, sliding side door (my preference over barndoors), 30k miles, 302 V8 auto with factory PAS and PAB - a rare combo. Zero rust (ignoring the patina!). Currently sat at the docks in LA awaiting boxing up for the journey over.. It's a runner so should hopefully not detract me the other unfinished projects..
Like the side mount ariel , keeping the patina then ? sigpicUpgrades = Saleen supercharger kit with JDM tune, 3.4 pulley ,Keene bell boost a pump, BBK 62mm Twin Throttle body with spacer, EBC drilled vented & grooved discs up front with red stuff pads all round , Boost gauge and fuel psi gauge ,Oil seperator, Extra 5" fans for heat exchanger, 7 row oil cooler , Braided steal brake hoses all round, BMR rear lower control arms. 481Bhp Total. & all the normal refinements you get with a Saleen mustang. production number 192 of 945 for that year. I'll run it as for a while, but suspect I'll end up polishing it off and getting it sign written eventually..
Great looking van. Love the real patina look. Have it sign written in a faded style. That’s cool. Love the deep dish Cragars. As some of you may know I don't really do shiny, so this is perfect for me, and agree on the faded sign-writing. Unsure what to do with the interior, but thinking black diamond pleat vinyl/leather. 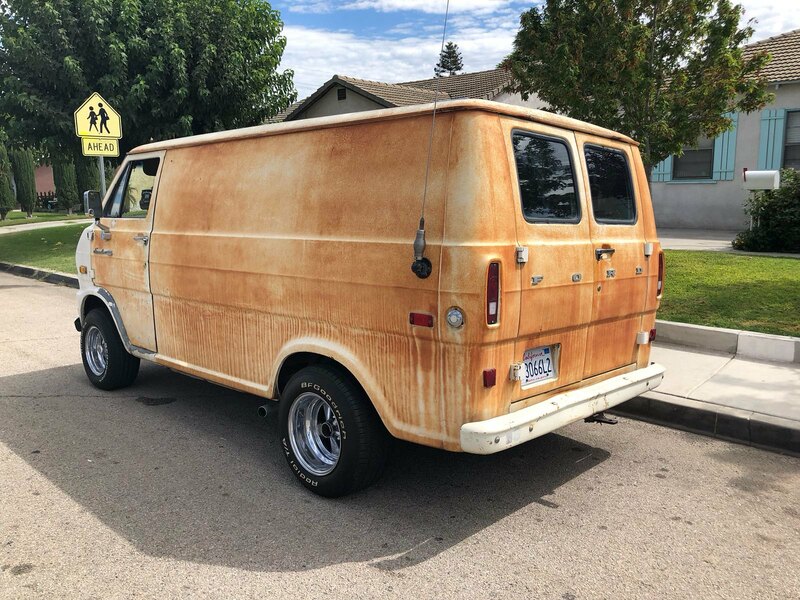 Want a nod to custom vanning, and a possibly use for camping, but still want it to be usable as a van. Therefore no permanent loveshack in the back, but maybe a rock-and-roll bed that can easily be removed. But, as stated above, I'm going to use it as is and finish the others first..!